We grow many of the herbs (without the use of chemicals) that we use in our products. We strongly believe in sourcing Locally First. We never use Paraben or Petrolium in our products! We blend our Herbal Teas and Tisanes with chemical free and organic herbs. 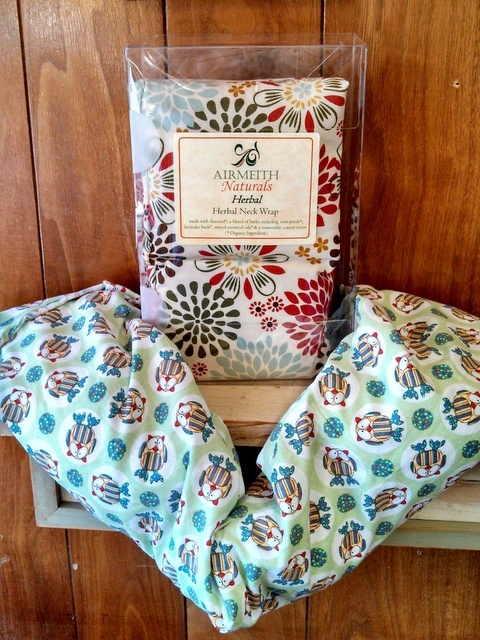 Our Handcrafted Neck Wraps, Hot/Cold Packs and Eye Pillows are made with Flaxseed, herbs and pure essential oils. They all come with removable, washable cotton covers. 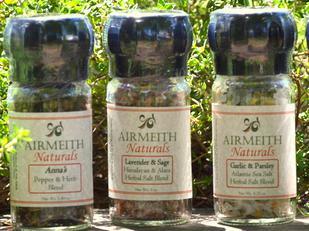 At Airmeith Naturals, we handcraft our product in small batches to maintain freshness. As Reiki Masters, we have spent years formulated our Chakra oil blends. Our Chakra oils are hand blended using premium essential oils and are embodied with Reiki energy. please email Tony@airmeithnaturals.com for our wholesale price list.